The “triangle” includes the communities of Columbus, Starkville, and West Point and their respective counties, with a population of over 128,000 people. The term Golden Triangle was created to encourage greater economic ties between the three cities and counties, Lowndes, Oktibbeha, and Clay. The three cities share the Golden Triangle Regional Airport. 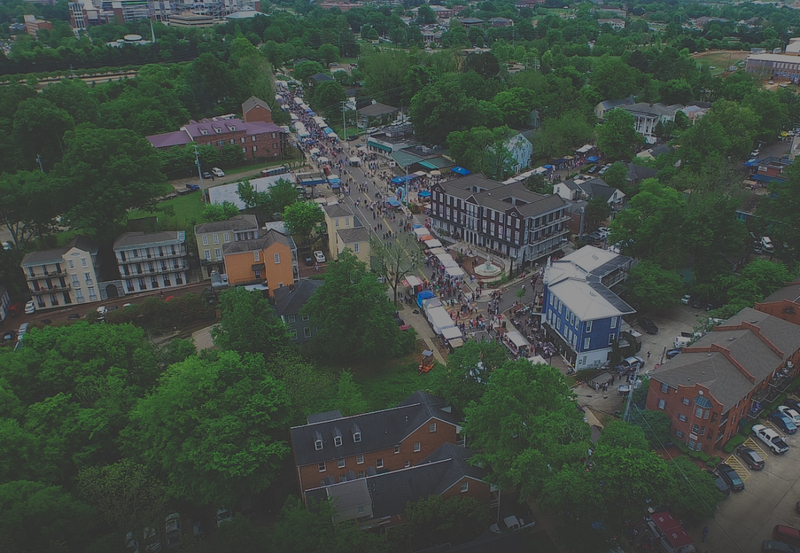 Columbus had traditionally been the leading city of the Mississippi Golden Triangle, but the rapid growth associated with Mississippi State University, and other factors, has led Starkville to challenge this position and ultimately surpass Columbus in population. Mississippi State University has spent more than $1 Billion since 2009 on capital improvements – including a $75 million expansion of Davis Wade Football Stadium & a brand new $55 million baseball stadium. Old Waverly Golf Course in West Point will be hosting the 2019 Us Women’s Amateur. Columbus, Mississippi is known for Columbus Air Force, the Golden Triangle Regional Airport and their massive Industrial Parks – including PACCAR, Airbus Helicopters, SDI, Stark Aerospace and many more. Starkville is anticipating the opening of a new industrial park, which is scheduled to be completed later this year. It will sit on about 400 acres of land north of the Highway 82-Highway 389 intersection in north Starkville. A brand new 175 acre Sportsplex is expected to be located on Highway 25 in Starkville, bringing in thousands of visitors a year! In October 2015, The Mill at MSU opened in Starkville. The Mill includes a conference center, office space, and a brand new Courtyard Marriott, all located across from Mississippi State University for easy access. Also in 2015 was the brand new City Hall building prominently located in downtown Starkville. The SMART bus system, which serves both the City of Starkville and Mississippi State University, has carried more than 1.42 million riders since its inception in January 2014. With more than 20 stopsl, one of which includes the Golden Triangle Regional Airport. Quality of life improvements: bike paths, parks, and high tech amenities including high-speed, fiber optic internet service. Recognition: Restaurant Business Magazine named Starkville one of the top restaurant growth markets in the U.S., WalletHub.com listed the City of Starkville as a top baseball market, TIME magazine, in their piece “Where to Retire”, named Starkville one of the top eight college football cities to retire in, and Best Colleges Online named Mississippi State University as one of the best small town colleges in the country. According to the City of Starkville, between 2011-2013, the City of Starkville issued permits for more than $115 million in construction. From 2014-2015, those permits rose to $154 million. Projections show that 2016 could be the City of Starkville’s biggest construction year yet. A recent industrial boom of manufacturing companies locating at the Golden Triangle Industrial Park in Lowndes County has led to a strong push for Columbus as the lead for the anchor city position of the rapidly growing region. Columbus is also the home of Columbus Air Force Base and Mississippi University for Women. More recently, Yokohama Tire Corporation selected West Point, MS, as the location of its new U.S. commercial truck tire manufacturing plant, which is set to open in October 2015 and manufacture one million commercial tires annually. Farmer Commercial Properties’ market incudes the entire Golden Triangle region, as well as the entire state. Mississippi State University continues to be a major economic driver for Starkville, MS.
• Only SEC school to have 5 teams (Men’s Basketball, Women’s Basketball, Baseball, Track & Tennis) to make it to a final 4 of the perspective sports, all in the same 2017/2018 season.